Imagine you’re on vacation in Cancun, Playa del Carmen or the Riviera Maya. You want to spend one day away from your all-inclusive resort at an ecopark. Which one should you choose? All three of these Experiencias Xcaret ecoparks boast natural beauty, activities, relaxation, adventure, delicious food, and super facilities, but each one provides a different overall feeling and experience. This ecoadventure park covers 145 acres, 20 of which are underground. Extreme (and extremely safe) activities are what Xplor is known for. Four different activities are available: zip lines, amphibious vehicles, and rafting and swimming in underground rivers. Visitors experience an exhilarating and physically challenging day (you have to climb steep ramps to reach each zip line tower). Don’t miss the delicious smoothies and cookies, which will keep your energy up. Xplor is not for couch potatoes! The natural inlet or lagoon that is the main attraction of Xel-Ha is considered to be the largest natural aquarium in the world. The park is home to hundreds of species, such as tropical fish and abundant flora. Snorkeling, swimming, kayaking, and biking are the most strenuous activities at Xel-Ha, and many visitors prefer to just drift along the river on a tube until they reach one of the restaurants or a lounge chair where they can relax in the shade of a palapa. 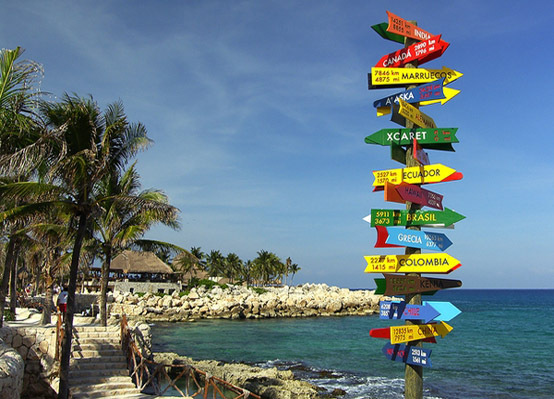 Which is your favorite Experiencias Xcaret Park and why?